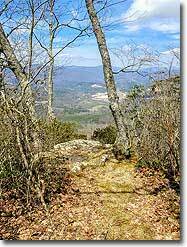 The summit of Little Table Rock Mountain lies on the Eastern Continental Divide and marks the Avery, McDowell, and Mitchell tri-county border. 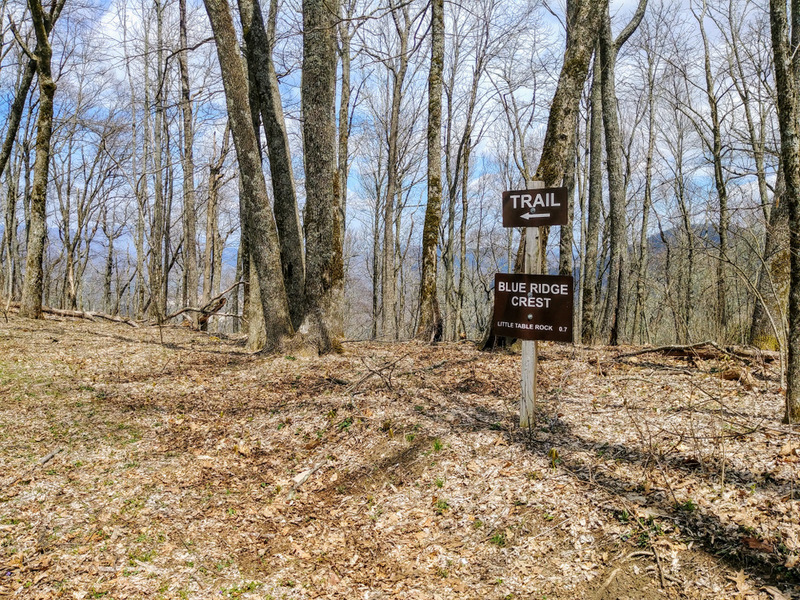 Established in 2013, Stanback Trails preserved small pockets of land adjacent to the Blue Ridge Parkway with the help of conservationists Fred and Alice Stanback. 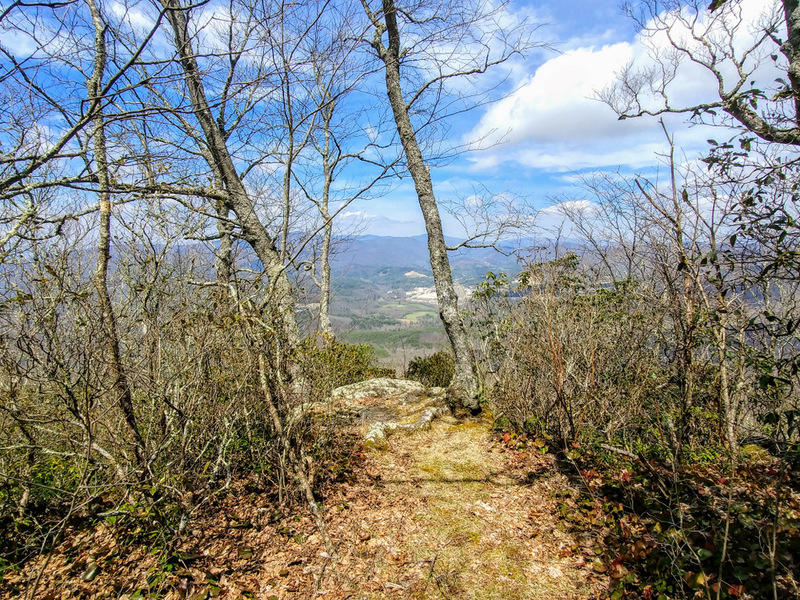 The Little Table Rock Mountain Trail in the 544-acre Little Table Rock Tract is the longest and most difficult of the three Stanback Trails. 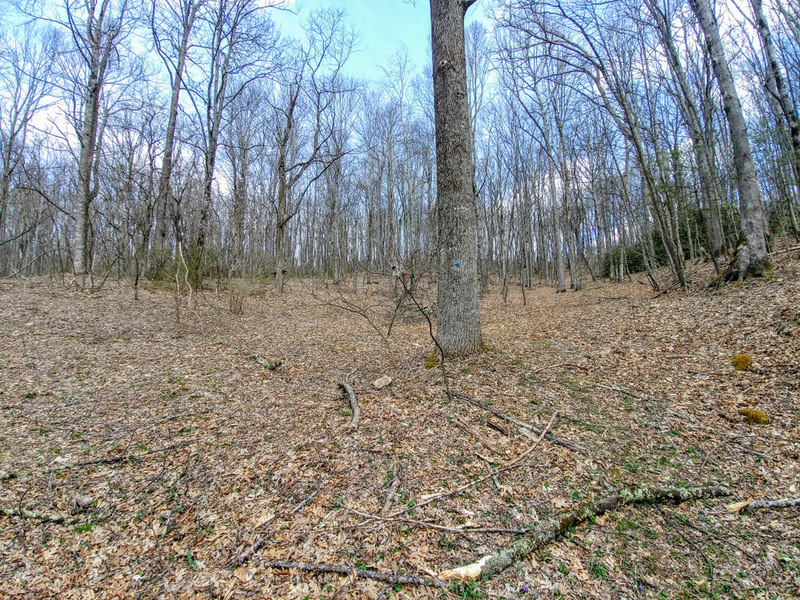 From the parking area you’ll climb over 1,000 feet in 2.1 miles through open hardwood forests. 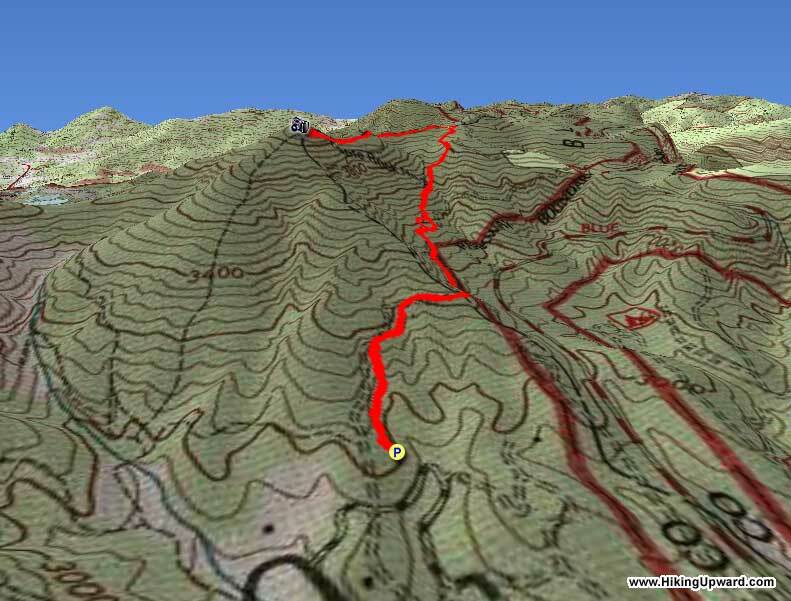 You’re unlikely to see anyone on this hike, so make sure you bring trail directions. 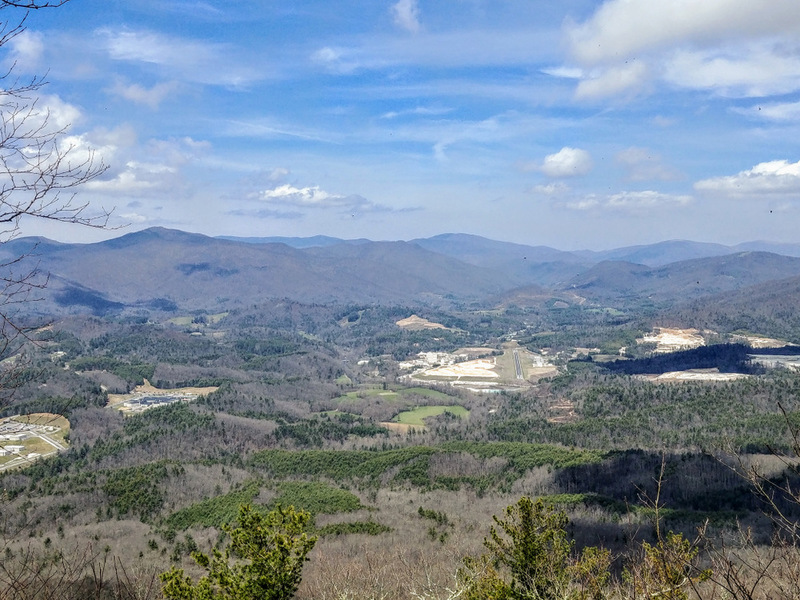 From the small, conical summit there is a nice view north of the Unaka Mountains rising above the North Toe River valley. 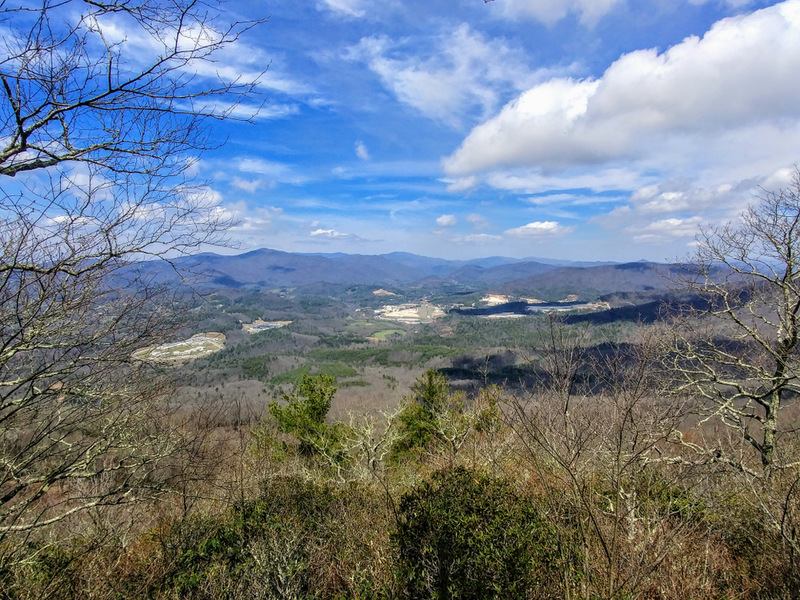 Although unspectacular compared to other hikes in the area, you’ll appreciate the work the Stanbacks have done to help conserve mountain treasures all over North Carolina. 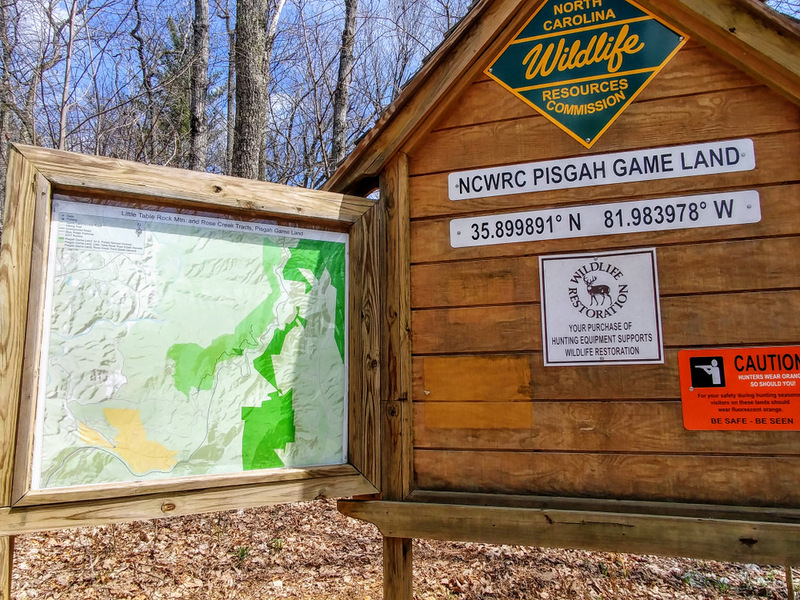 Hunting Considerations – This hike passes through Pisgah Game Land. During hunting seasons you should wear bright orange or similar bright colors while hiking. 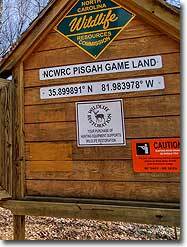 For hunting season information and schedules please visit the North Carolina Wildlife Resources Commission for yearly updates. 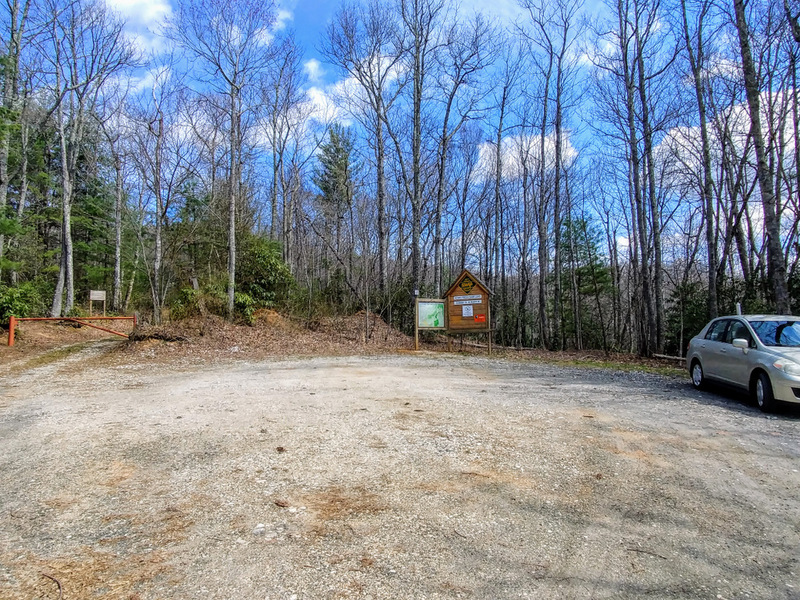 Mile 0.0 – The Little Table Rock Mountain Trailhead has a nice gravel parking area and large information kiosk with a trail map. The trail initially follows a wide forest road north. Mile 0.8 – At a T-junction the Little Table Rock Mountain Trail turns left leaving the forest road. A large plaque on the ground gives an overview of the tract. From here the trail is blue-blazed and follows a single-track path. Mile 1.1 – Stay left at a Y-junction with an old forest road. 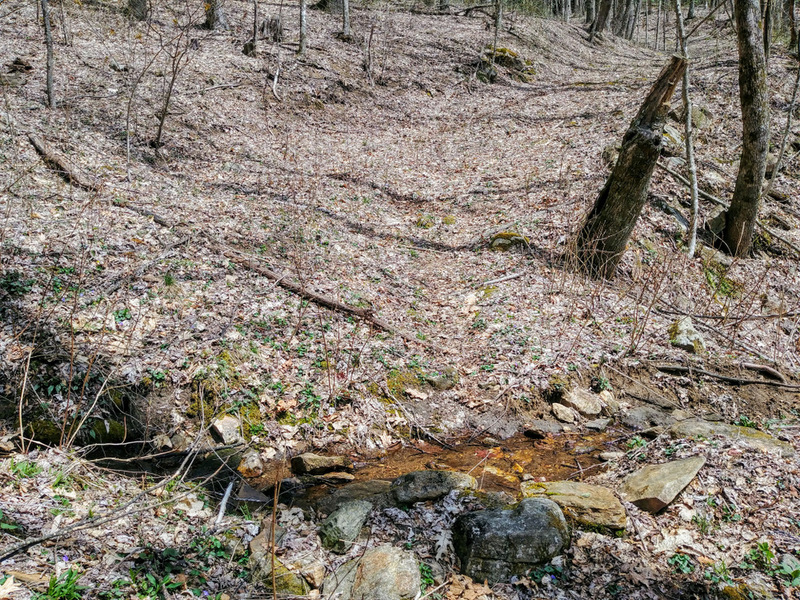 Mile 1.15 – Stay right crossing a small stream. 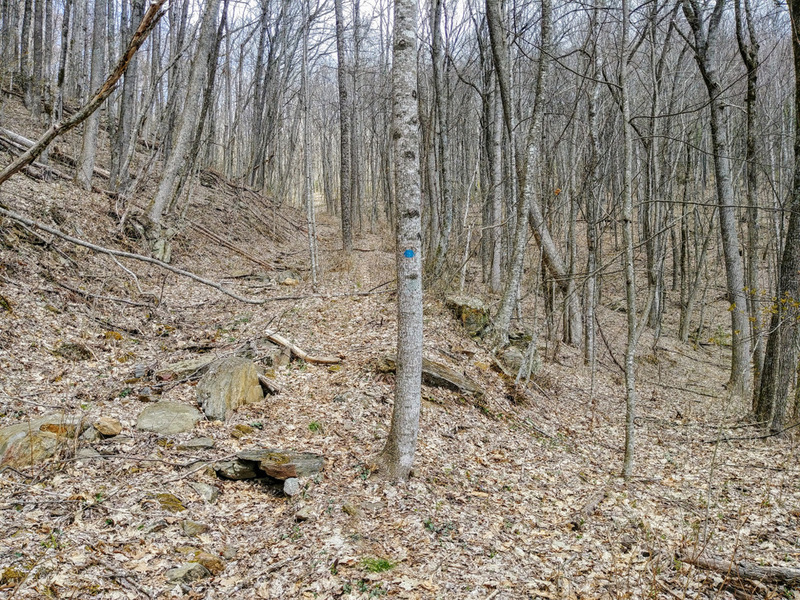 Mile 1.3 – The trail begins switchbacking through a wide bowl. It is easy to lose the trail here since it isn’t well-defined, continue to the ridgeline if you cannot follow the blazes. 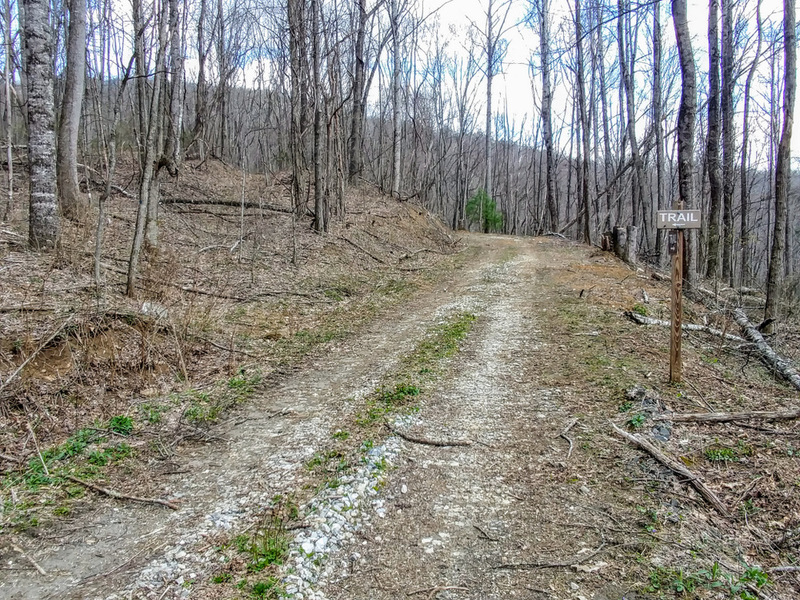 Mile 1.5 – T-junction with a forest road along the ridgeline. Turn left following the forest road west. 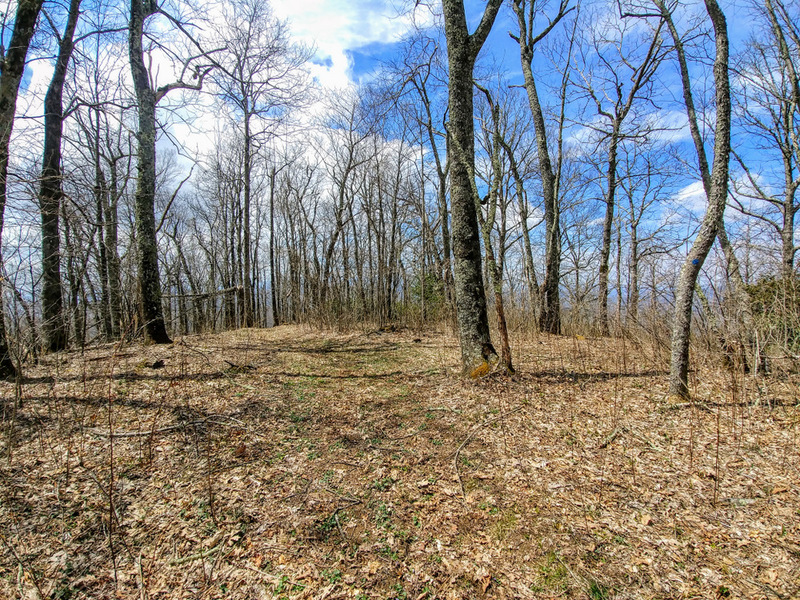 Mile 2.1 – Reach the wooded summit of Little Table Rock Mountain (4,080 feet). A path on the right leads to a small outcrop with a view north. 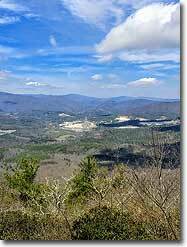 The North Toe River valley is encircled by the Unaka Mountains and Blue Ridge Escarpment. 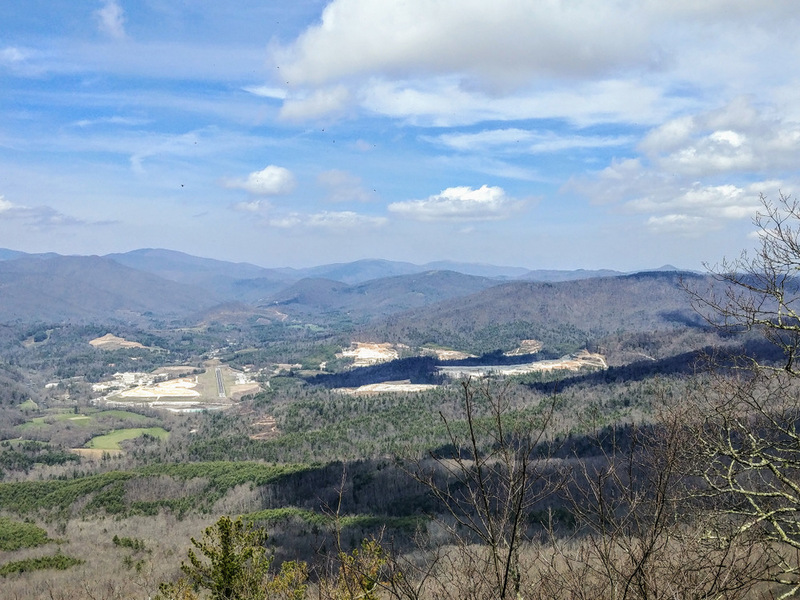 You also have a direct sightline of the tiny Avery County Airport near Spruce Pine. Imagine the view small planes have landing here beneath these high mountains. This area is well-known for its quartz and kaolin mines, which you’ll easily spot as large open scars on the slopes outside of town. The southern Unaka Mountains including the Roan Highlands rise high above the region. Turn around and hike back towards the trailhead. 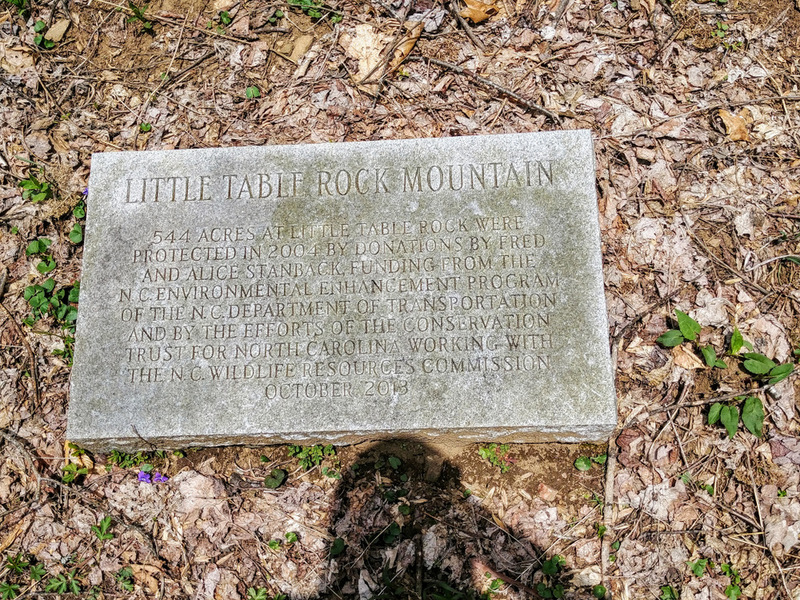 Mile 4.2 – Hike ends at the Little Table Rock Mountain Trailhead.